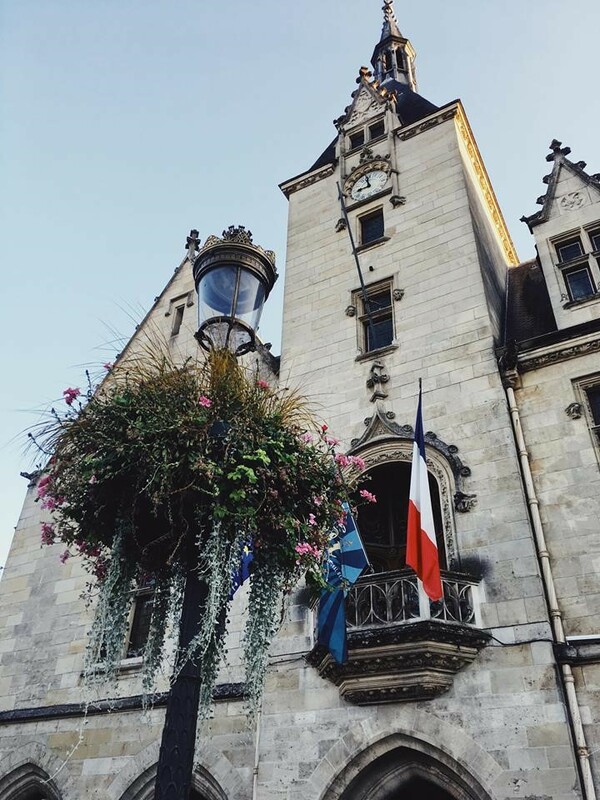 Anna Mather tells the stories from her placement year in France! When I landed at Bergerac Airport, smack bang in the middle of France and its never-ending countryside, my taxi was nowhere to be found. I instantly roasted like a rotisserie chicken in my jumper, thinking that perhaps in September there might be a little nip in the air. No, 27 degrees Celsius, F.A.B. I somehow muddled through a panicky call to the hotel to ask for a taxi number. The taxi driver gave me a sweet lil’ discounted ride despite my three suitcases, and I guess you could say the year abroad began. I knew it was going to be a bumpy ride, but the first few months were a whirlwind of emotion and loneliness. Luckily, I soon adjusted, as my town of Libourne, not far from Bordeaux, was homely. I settled in by going for walks around the town, enjoying cappuccinos and becoming a regular of early evening mojitos. When my placement began, it was kind of like being at high school again, since I was an English Language Assistant with the British Council. I kept reminding myself that I had chosen to do this, and it was much better for me personally than spending my minimum of eight months abroad studying. Once I got the hang of finding my way around the school, and used to my role as an assistant, it was much easier to aid my students’ English acquisition. I can’t lie, it wasn’t always a barrel of laughs, and a few fifteen-year olds sure knew how to press my buttons and wind me up, but it was the best teaching experience I could have asked for, with barely any hiccups. Being part of the high school meant I felt connected to the town too. We went to the cinema a few times, and the theatre too. I got to meet people I wouldn’t have otherwise met. I left with tears in my eyes at the end of the placement, having really gotten to know my classes and enjoyed sharing British culture with them. Life got a lot better when I was given the email of a French student also living in Libourne by herself. We contacted each other and hung out, becoming firm friends. By March, I was speaking practically fluent French – except a few grammar and accent issues – which made conversation easier for both her, I, and our other friends. During the year, I also managed to do a few days of travelling. Four days in freezing February were spent in Paris, the beautiful capital. I did find it overrated, but it was cool to see the view from the top of the Arc De Triomphe. Although I would never do, nor recommend, the climb to the top again. My friend and I persisted in saying “chocolatine” rather than “pain au chocolat” in each and every bakery, and we enjoyed some delicious steak et frites at Ma Bourgogne on Place des Vosges, the square where poet and playwright Victor Hugo lived. I also visited Poitiers for a weekend and explored the rainy city with my camera in hand. The cathedral is a building full of majesty and grandeur and the city’s streets are cute no matter what the weather. Not long after, my friend took us to La Rochelle, her hometown, to see both her family and the seaside city. It was a lovely trip, we celebrated her 21st and enjoyed ice-creams on the marina. Libourne, what you could now describe as my second hometown, grew on me even more after I finished my placement. I wasn’t working and was able to spend all my time debating “chocolatine” vs “pain au chocolat” with new friends over coffee or a good glass of Saint-Émilion Grand Cru. The new quay was constructed, making a nice walk alongside the Dordogne river possible, and a gorgeous setting to view the “coucher du soleil” in the late summer evenings. Dagueys, the local lake, provided sufficient cooling off from the near forty-degree heat, and at night the calm was well worth the occasional mosquito bite. Libourne also had multiple festivals and events over the summer period, meaning I have experienced French culture at its finest, been a true “gourmandise” and enjoyed time with friends. The Fete de La Confluence was by far the best, with musical performances and Fest’Arts at the start of August was a highlight of the year not to be missed. I will miss these kinds of local events when I return home, since we really have nothing like them. I would spend time in the city centre of Bordeaux, enjoying a spot of shopping on Rue St Catherine, Europe’s longest shopping street, or at the Miroir d’Eau and Place de la Bourse – both major Bordeaux sightseeing hotspots. 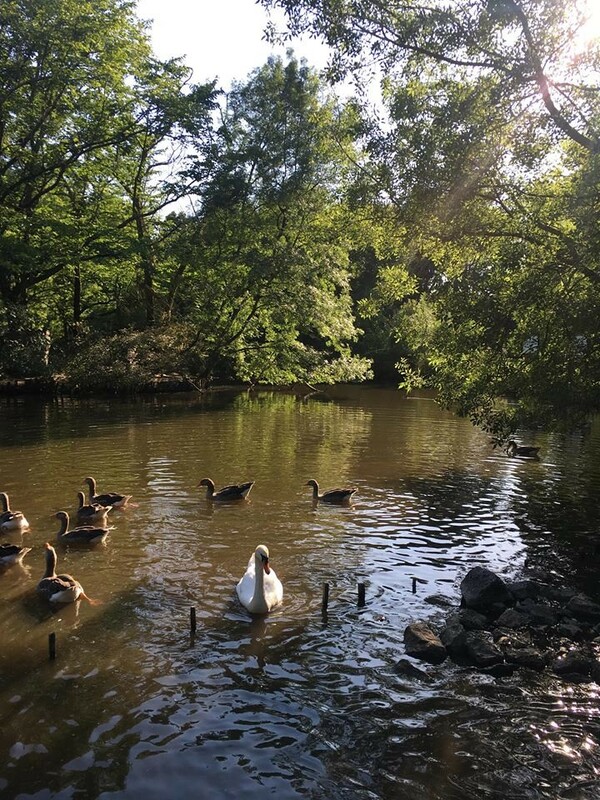 Around Bordeaux, there are some beautiful, peaceful parks such as Parc Majolan, which take you out of the city and into true nature. Taking advantage of every moment is by far the thing I learned most and repeatedly throughout my Year Abroad. Letting go of any doubt and rolling with any “oops that’s not so good” moments. Yeah, I had my bank card stolen. Yeah, creepy men followed me. But hell, I also had the best year of my life. My French has improved massively, it’s at a point I’m proud of now. It isn’t perfect despite being practically fluent, but I have another year at university to perfect it. I’m already dreading the so-called year abroad blues I’ve been warned about, and I know I’m going to miss the constantly beautiful south-western weather. Not quite so sunny in Lancaster, eh? I can’t lie though, Lancaster has been on my mind – there’s nothing like my university friends and the fun we have both on campus and in town. I’m excited to return afresh and complete final year peacefully. Next articleTeaching hours extension: will the University act upon students' concerns?